One of the most important culinary lessons I’ve learned came from my good friend Lindsey in New Jersey. 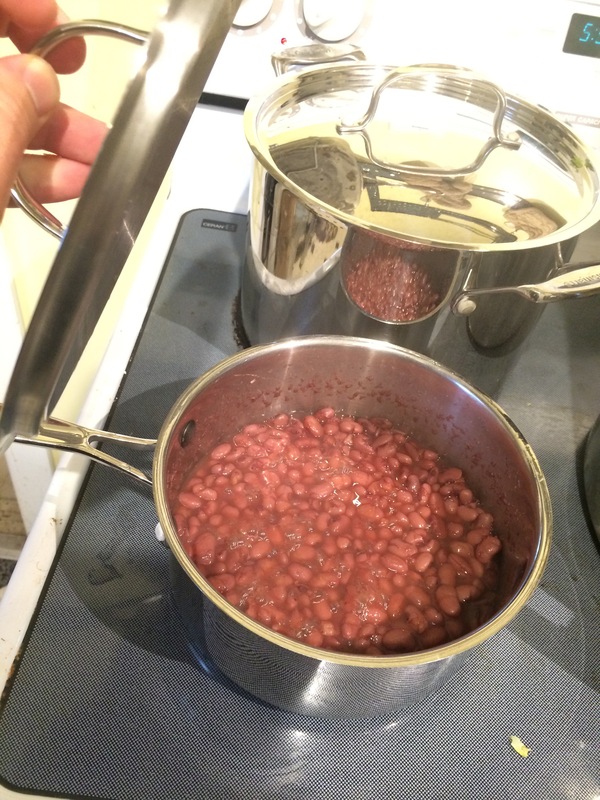 A few years back, Linz was visiting the Pacific Northwest for a few days and taught me all about cooking the humble bean. Simmer the beans for at least two hours, with garlic cloves to add flavor. I, of course, was completely satisfied with buying canned beans at the grocery, not knowing the culinary joy that awaited from carefully preparing beans – first by soaking, then by slowly simmering them for hours – as long as you can stand, really – with a few cloves of garlic in the water just to add some flavor to the simmer. This may not seem like much of a trick, but it did two things: Gave me more flavorful beans, and exposed me to more varieties of beans. No need to stick to pintos and black beans when I can explore yellow-eyed beans, rattlesnake beans and other lost varieties. The lessons of Linz came in handy with the latest recipe in the list, Haiti’s Griots with Rice and Beans. 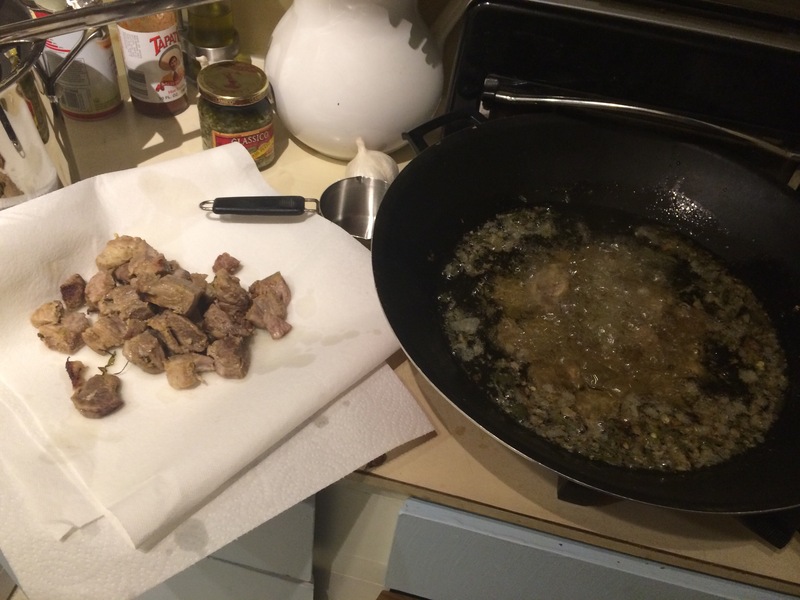 It’s been a busy spring, so I haven’t done a lot of experimental cooking, but this meal wasn’t terribly experimental: Marinated pork, cooked then fried, then mixed with rice and pintos. The meat should cook for 90 minutes in the brine you used for marinading. It was great to have an island meal that wasn’t fish-based. That being said, I was expecting something a little more flavorful – something more resembling the citrus-rich flavor of Mexico’s puerco pibil. Maybe it was the frying, the quick-cooking that sapped out the orange flavor. Either way, this was a good, but not great, dish. My recipe was primarily sourced from Haitian Culture and Caribbean Foods. Quickly fry the meat to get it crispy on the edges. Put all ingredients, except oil, in a large pot and marinate overnight in the refrigerator. Remove the meat from the marinade and rinse. Reserve the marinade. 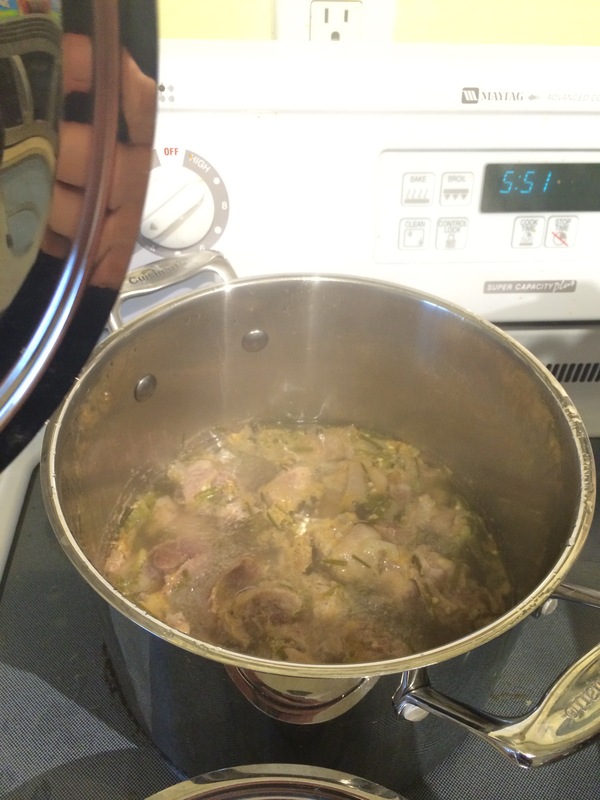 Place the rinsed meat, and the brine, on the stove. Add water to cover. Simmer for 90 minutes, until meat is cooked. Drain the cooked mixture, add oil and fry SLOWLY for 5 minutes. Turn up heat at the end to quickly crispify the meat. Boil the water, add in the beans and garlic cloves(whole) and cook for approximately 2 hours until tender. Drain the beans, reserving the water for cooking the rice. Fry the vegetables until tender, then add beans to mixture. Add bean-cooking water, bring to a boil, add rice and cook for 20 minutes.